Two construction workers walk past Lowell House on Wednesday afternoon. The renovation of Lowell House, part of Harvard’s House renewal initiative, is slated to begin in June 2017. New architectural renderings of Lowell House released by the University Wednesday offer a glimpse of plans for the House’s renovation, including a new student common space, screening room, a mix of hallway and in-suite bathrooms, and new decorative elements. Lowell will be the fifth House in the Faculty of Arts and Sciences’ more than $1 billion House Renewal project to renovate the upperclassman residences. Construction will begin this summer, and is expected to be completed by the fall of 2019. The north wing of the complex will be renamed Otto Hall after German real estate mogul Alexander Otto ’90, according to Lowell Faculty Dean Diana L. Eck. A new senior common room, building lobby, and large student lounge available for social events will be also be part of the reconstructed wing. An architectural rendering of the planned renovations to Lowell House. 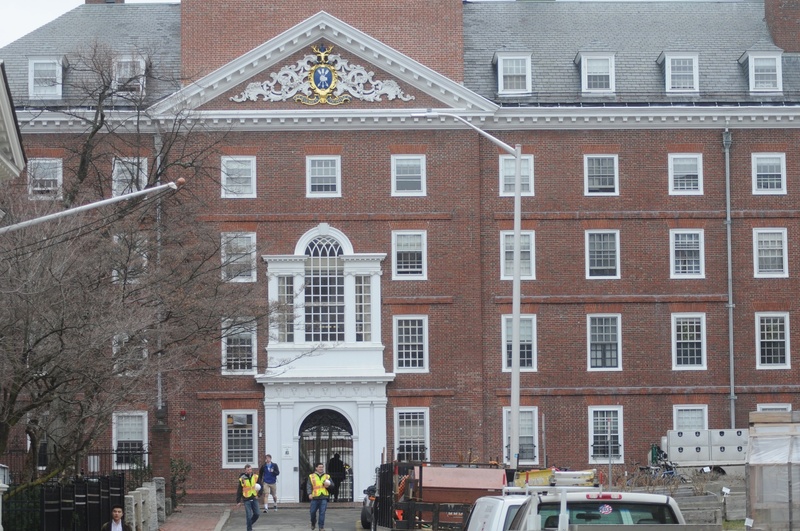 Part of Harvard’s House renewal initiative, construction on the House is slated to begin in June 2017. 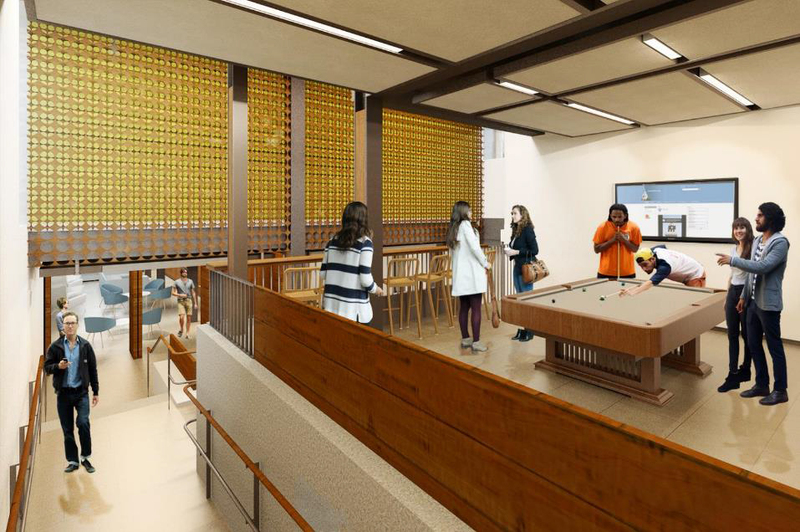 “It will be a commodious space for social gatherings—for parties and all sorts of things that really provide space for students in the House,” Eck said. 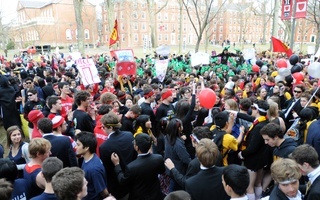 Building additional student social spaces in the Houses has been a common feature of the House renewal project as College administrators push to re-center social life in the Houses. 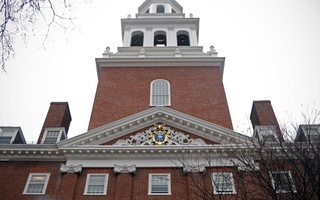 The House will retain its iconic bell tower and include an elevator to the seventh floor tower room after renovations, which are scheduled to begin following Commencement. The House will also be fully accessible—an administrative priority for House Renewal. Other new additions to the House include a screening room with retractable seating for 75 people, an art and dance studio, and a practice area specifically for the Lowell House Opera. An architectural rendering of the Pool Lounge of Lowell House. Merle Bicknell, assistant dean for FAS physical resources, said the House's large size, historic architecture, and lack of access to major streets complicates the project and necessitates two years of construction. Bicknell added that a new workshop with computer modeling and 3D printing capabilities has the potential to serve as a hub for students travelling from the Allston campus. In 2020, much of the School of Engineering and Applied Sciences will move across the Charles River to a new complex. Suites will make up 72 percent of rooms, with the remainder being hallway singles. The House have a mix of in-suite and hallway bathrooms. Lowell will also retain a squash court and the traditional appearance of its library after reconstruction, according to Bicknell. Bicknell said future House renovations will eliminate hallway doubles after a report found the configuration was unpopular among students. 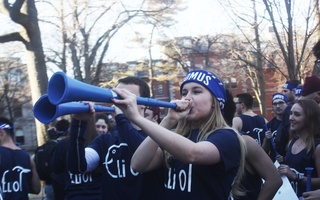 She said that—like to Winthrop House’s soon-to-be completed project—renovations to Lowell will also eliminate the current need for overflow housing in the DeWolfe St. apartments, allowing all students to live in the House once construction is finished. Although many of the House’s facilities will remain after construction is complete, the Lowell Bouldering Wall in the basement of A entryway and the Harvard Community Garden on Mt. Auburn St. will move to the Radcliffe Quadrangle. David R. Friedrich, the College’s associate dean of students, said the bouldering wall will be installed in the Quadrangle Recreational Athletic Center by fall 2017 after students expressed strong support for retaining the structure. Does the House System Need a Facelift?